A new exhibition, Century of the Child, at the V&A Museum of Childhood in London explores how Scandinavian designers have used play and an intuitive, infantile-like wonder about the world to put children at the heart of the design of homes, cities and communities. It is an understated yet charming show. Although modest in size, it shows the wide-reaching impact of Nordic design values. It’s been simplified for a family audience but there are useful insights to be gleaned. The exhibition takes its name from an influential book by Swedish social theorist and feminist writer Ellen Key, first published in 1900. At a time when children had few rights and limited educational opportunities, and many were forced into labour, Key — herself home-schooled — predicted that the 20th century would be a time when the wellbeing of children would come into the fore. Her progressive views and liberal convictions for a child-centred society were radical at the time, but over the past hundred years or so, as the exhibition aims to show, they’ve slowly filtered down into the modern Nordic designs we know and love today. Created in collaboration with Sweden’s Museum Vandarlorum, Designmuseum Danmark and Design Museum Helsinki, the exhibition, is divided into four themes: Nordic Values, Design for Living, Creative Freedom and Eco-innovations, spanning everything from early dolls houses, games and sustainable toys, to mid-century school designs, Seventies’ adventure playgrounds and storytelling shelters. Century of the Child starts by looking at the ways in which the Nordic countries have forged ahead and invested in the early years, just as Key hoped, regularly topping indexes when it comes to gender equality, shared parental leave, social support and all-round happiness. A simple cardboard box, for instance, helped Finland achieve one of the lowest infant mortality rates in the world. Launched in 1937, the Finnish maternity package offers expectant new parents a free ‘baby box’ with essentials such as gender-neutral clothes, nappies and bedding. Giving every child an equal start in life, the box was originally intended to double up as a cot but can now be swapped with a cash grant (today 40,000 boxes are distributed a year). Scotland adopted a similar scheme last year. 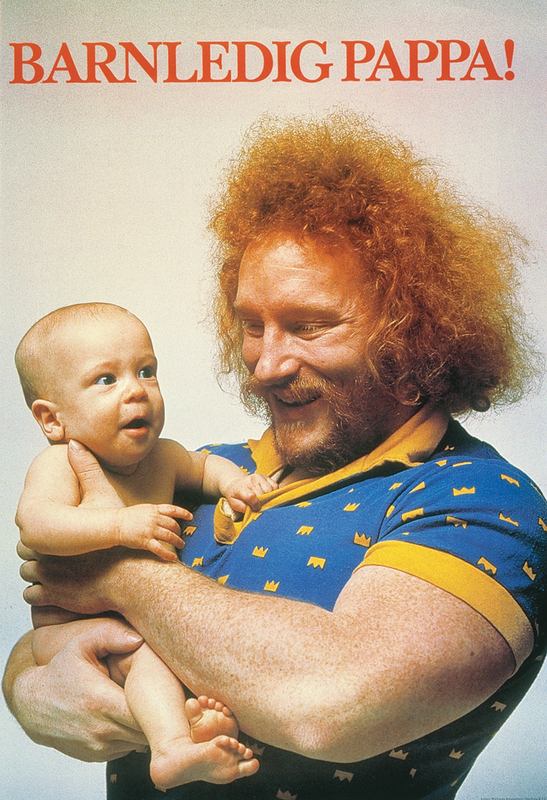 Elsewhere, a Seventies’ poster of a hefty champion weightlifter and his baby promotes paid parental leave for fathers in Sweden, the first country in the world to do so in 1974, with 25% of fathers taking leave today. The exhibition moves on to focus on the family home, something Key believed was the foundation for ‘modern social conditions, beautiful cities, monuments and buildings’, calling for light-filled dwellings, simple furniture and natural materials — a ‘beauty for all’ that anticipated the modern movement. Although Key considered the home to be the best place for education, her ideas can be seen echoed in new school typologies, tailored to children’s needs, that came out of the mid-20th century, such as Alvar Aalto’s Inkeroinen School in Finland (1938–39) and Arne Jacobsen’s Munkegaard School in Denmark (1957). The latter, for example, is a modular, low-rise, yellow-brick design for 1,000 pupils, set on a grid, linking pairs of simple, well-lit classrooms with enclosed courtyards and lush, green gardens to give the sense of intimacy that comes with small kindergartens. Jacobsen designed everything from the tables and chairs (scaled down FH 3105s, here in the show, sitting next to Aalto’s N65 birch plywood children’s chair) to classroom lights and Plexiglass loudspeakers. 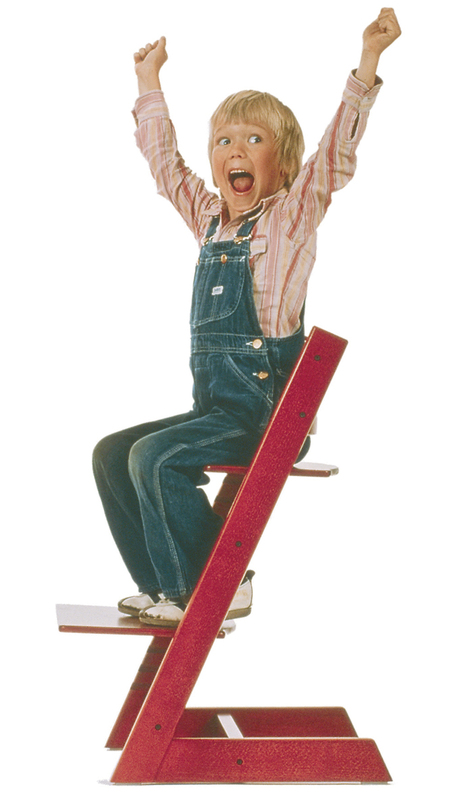 With Key advocating greater freedom for children, the next section moves away from education to free play, looking to toys, games and playgrounds to promote development, foster creativity and escapism from the world. As well as swinging wooden Bojesen monkeys and plastic Lego building bricks (the name comes from the Danish phrase leg godot, meaning play well), there’s a more interesting story about outdoor play, offering a release from rules and a connection with nature. Denmark’s Junk Playground of the Forties offers a case study. Sited on the outskirts of Copenhagen, the ad-hoc design was completely child-led by 200 kids who built towers, huts and dug caves out of earth, packing cases and bricks. It paved the way for adventure playgrounds in post-war Britain, but leaves no mention of Assemble’s Baltic Street Adventure Playground, a permanent, constantly evolving, child-led space in Glasgow, which came out of a public art commission in 2013. The exhibition finishes with a recreation of a Norwegian storytelling hut, inspired by a similar shelter created by Norwegian-based artist-architect practice Haugen/Zohar out of found construction materials at the Skjermveien Kindergarten in Trondheim in 2009. The open, semicircular, latticed structure practises what the exhibition preaches, putting children visiting the show back in the centre.